#511a Used, perf 10 at top, PSE Certificate, sound - $3,000.00 : Graded Stamps:, Welcome To Jerry Connolly Stamps! 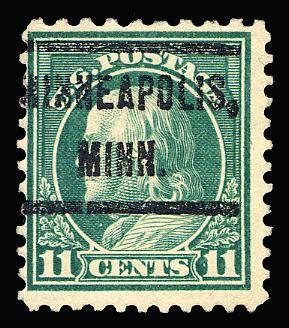 Certificate states: "it is a genuine used, perf 10 at top, with a Minneapolis, Minn. local precancel." Exceedingly rare in sound condition.